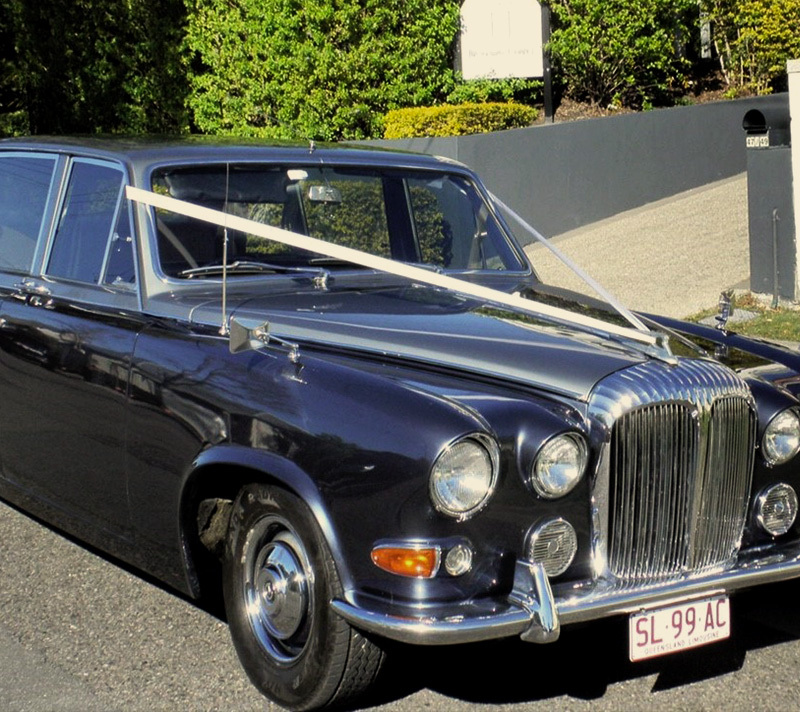 This Classic Daimler Limousine is synonymous with opulent comfort, ride & reliability and was the prestige limousine of it’s time. Silver over blue and air conditioned for comfort this car seat 6 passengers + chauffeur. Used by many a dignitary and royalty when you arrive at your event heads will turn. Ribbons of your choice and colour can be accommodated so feel free to ask us. 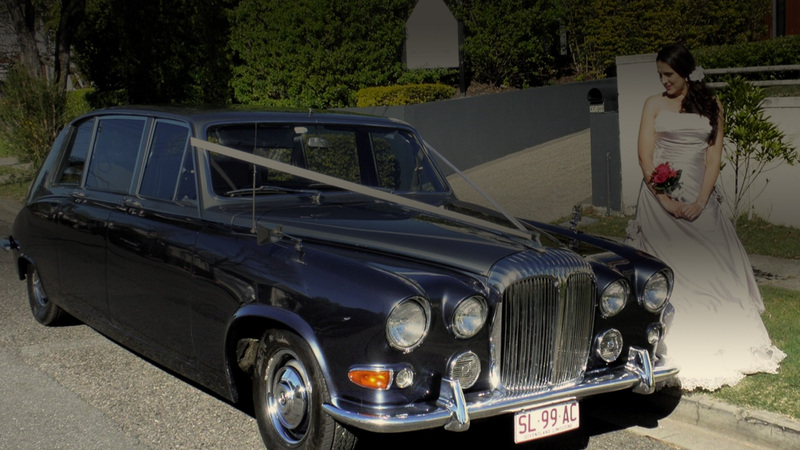 At Champers Rolls-Royce and Classic Car Hire nothing is too much trouble.